Skirts are usually floor-length, as it is considered indecent for a lady to show her ankles. 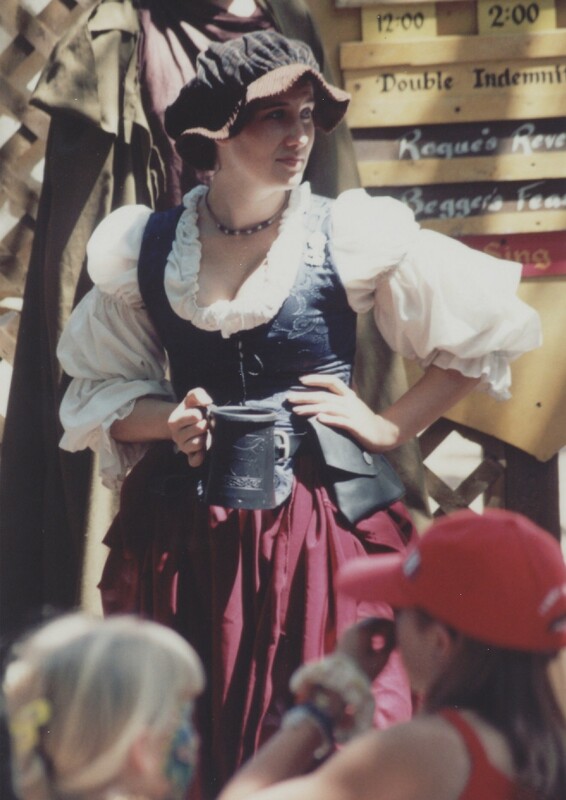 Women who are working (serving wenches, washer-women, etc.) may wear ankle-length skirts or hike their skirts up on one or both sides, if they are feeling particularly daring. Here is a basic skirt pattern. Ladies' skirts are a bit more involved, and are usually part of a gown.